* The additional cost of options selected above are not discounted. 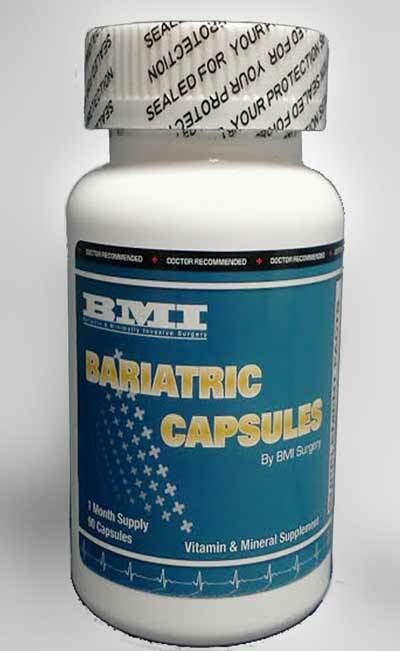 Bariatric Capsules can be taken by all bariatric patients (band, sleeve and bypass). Each bottle contains a one (1) month supply. You will need to take three (3) capsules per day to get the recommended daily allowance. Although this formula is specifically designed for bariatric patients, those who have not had surgery can safely take these vitamins as a daily supplement. Please keep your vitamins in a cool and dry environment to maintain freshness.